The history of humanity is closely linked with the taming and domestication of wild plants and animals. Of course it was the long and laborous work of Neolithic people behind them. The labor was worth: Neolithic humans satisfied their hunger and provided most of our food today. Moreover, domestication led to food production and food production led to explosions in population and technology, to social stratification and political centralization. It also provided the basis for the intellectual construction which is allied with the enjoyment of food. These photos are from Falassarna, a semi-mountainous coastal area located about 55 km west of Chania (Crete). 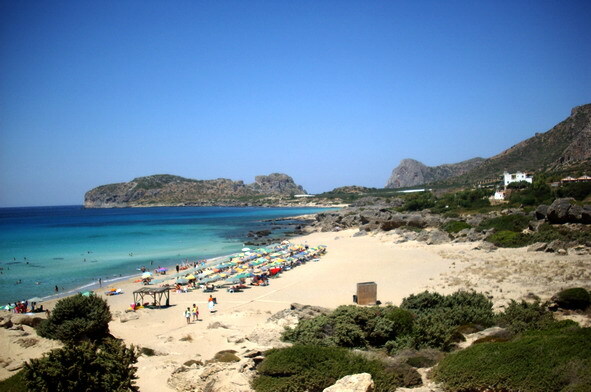 Though Falassarna is best known for its endless beach and turquoise waters, also is a notable archaeological site. Falassarne, a local nymph gave her name to that area, which flourished mainly during the Classic and Hellenistic years. 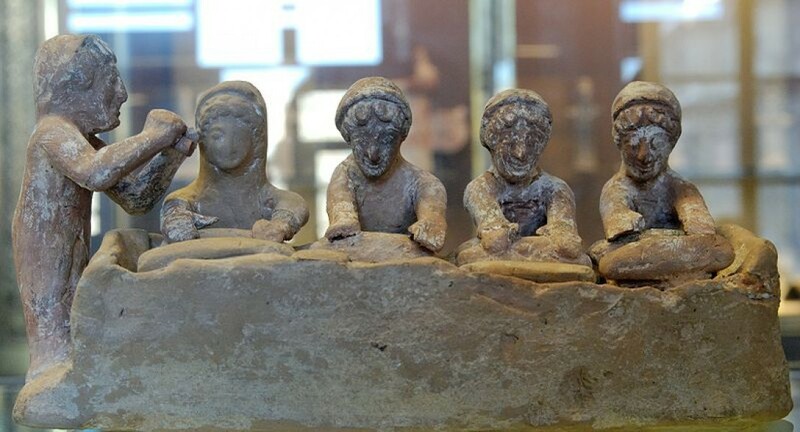 However the oldest ruins date from the Middle Minoan period. During the periods of flourishment Falassarna was a great naval force, as was on the route between Ptolemaic Alexandria and the Aegean. Its power brought it into conflict with Rome, which destroyed the city in 69 AD. Both the rise of sea level and the massive earthquakes (365 AD) that raised this part of Crete seem to have contributed to its total decline. 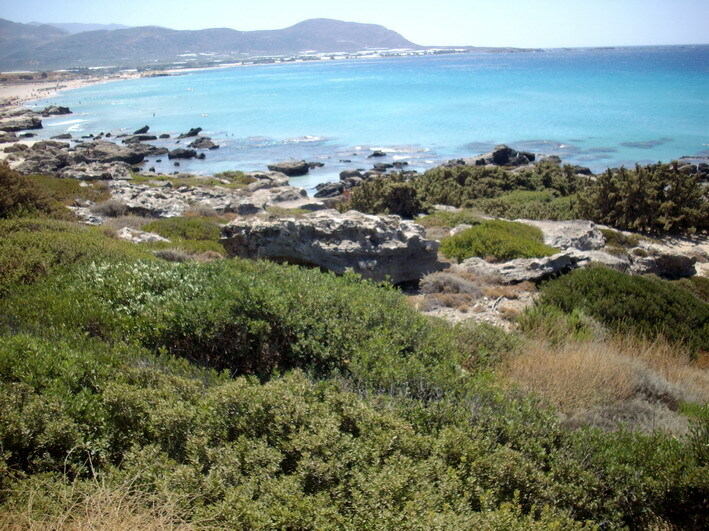 To the north of the beach you can see the remains of the ancient harbour, cyclopean walls, a stone carved ‘throne’, the ruins of a temple, possibly dedicated to Apollo or Artemis (Diana) etc. 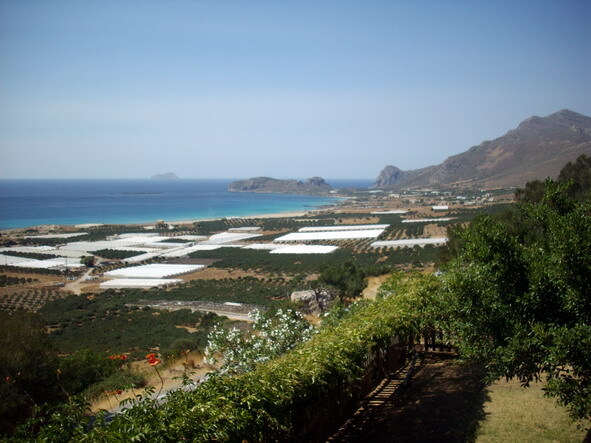 While going down from the top of the hill to the beach, you don’t only have magnificent view of the sea and the wild landscape of western Crete but you have the view of greenhouses too. The fact is that during the last 3 decades there is a considerable increase in the number of greenhouses. The degradation in groundwater and seawater is a seasonal result of the agrochemical pollution caused by them. It looks like a paradox that we are talking about an area which hosts a large number of species and habitats and belongs to the Natura 2000 European protection network. 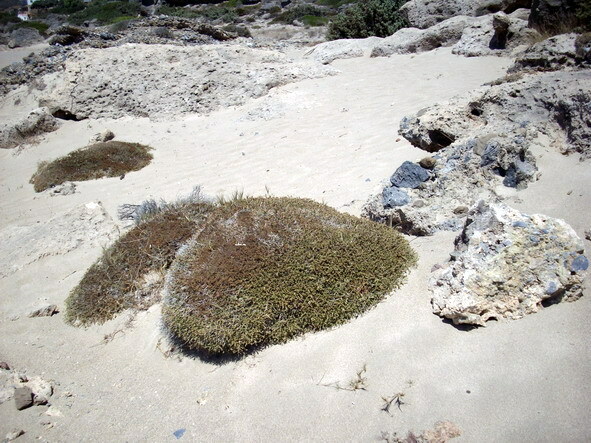 As Crete is the northern point where certain African trees are encountered, you can see cedars and palms amongst the sand dunes. 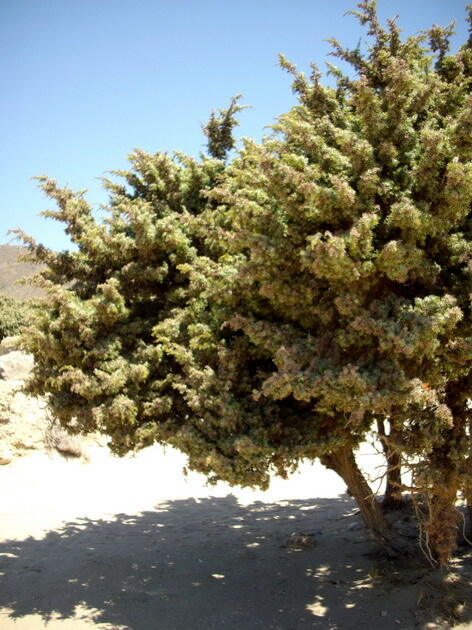 Turpentine tree (Minoan kri-ta-nos, botan. 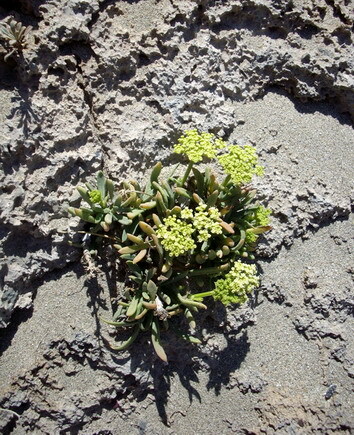 pistacia terebinthus), crithmum maritimum…. 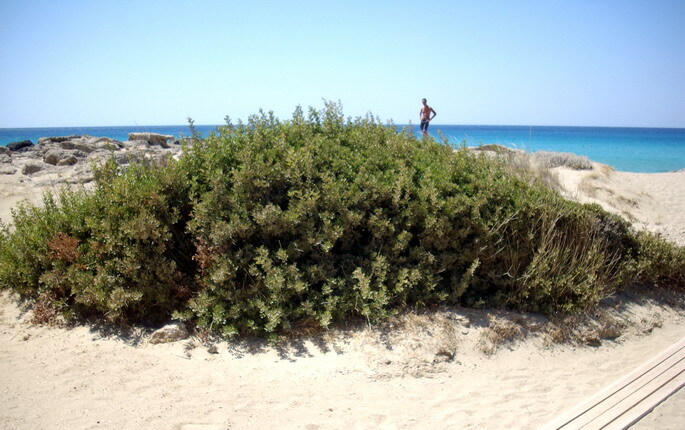 cretan thyme and rare aromatic, ornamental and medical plants also grow wild in the region. And here is a wild -thyme field. Wild thyme is deeply appreciated for its gentle flavor, its high- antiseptic essence oil and its nectar for bees. The question is if a so –called wild thyme is really wild thyme. Is it wild thyme because it grows in the wild or cultivated thyme because someone planted it? But if the greenhouses can have serious effects on the health of local flora and fauna the ‘cultivated’ ‘wild’ thyme saves the wild one from harvesting. These are the two modern faces of taming the wild nature, after all. Ivy, A good idea is to plan your next vacation to Chania! Gary, Both honeys have their peculiar flavor influenced by the preponderance of thyme in the surrounding countryside. Thyme honey from Hemyttus has been famous for thousand years. Very informative Giorgo, thank you. BTW according to ethnobotany and archaeobotany, there is a wide spectrum between completely wild and completely domesticated. Though the term ‘wild’ is contrasted with ‘cultivated’ or ‘domesticated’ plant, the distinction is not easy. For example, wild pears (Pyrus spinosa) grow in the general area of traditional pear cultivation. They are not planted, many of these may grow from seeds, but until 2-3 decades ago their fruits were always collected. 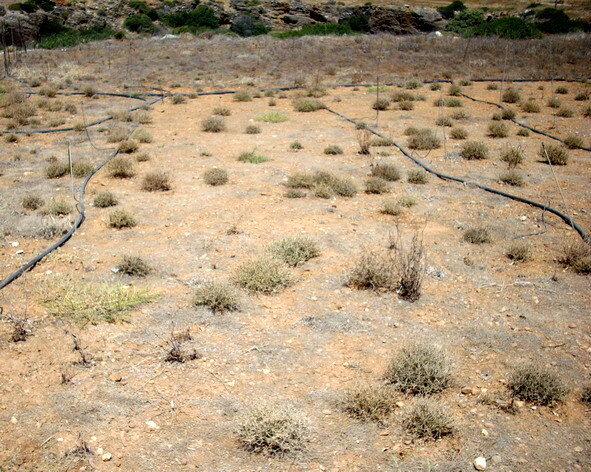 Cultivation grew out of domestication and food gathering, however wild prunes (and other wild plants as well) are trees that grow wild in ‘domesticated’ ecosystems. Sometimes being ‘wild’ depends on the degree of human intervention and involvement. The term “wild” in biology means that something appears more or less abundant out in the nature. Wilds (not all of them)can be transferred and cultivated under lab conditions which mimic natural conditions…but no one can be sure whether the wild traits can remain intact in the lab…actually there happen random genomic phenomena (quite usual in cultivated plants) which may lead in the modification (permanent changes) of some wild traits (let’s say the chemical composition of natural oils), generation after generation. In this case do you still call these changed or mutated organisms “wild”? Yes they used to be out in the wild… Well, the only reliable criterium is to compare their genomes. Only DNA can tell you what’s going on within them, even if their traits of high importance or value for humans remain intact. This is how nature works either in the wild (for sure the nearby greenhouse chemistry can bring about serious effects in the wilds’ genomes) or in the controlled environment of a lab (random genomic decays under lab stress conditions). Evolution of livings is everywhere. The Greek wild flower and thyme honey from Mount Hymettus and Crete were the most delicious that I ever tasted! Although I’ve visited Chania three times, I have not been to Falarssana yet. I found out about it during our last trip there in one of the ship’s magazines.